Let’s face it: traditional advertising just isn’t cutting it these days. Recent studies show that 96% of consumers prefer the genuine feel and appeal of influencer-generated content versus overt brand-generated content. 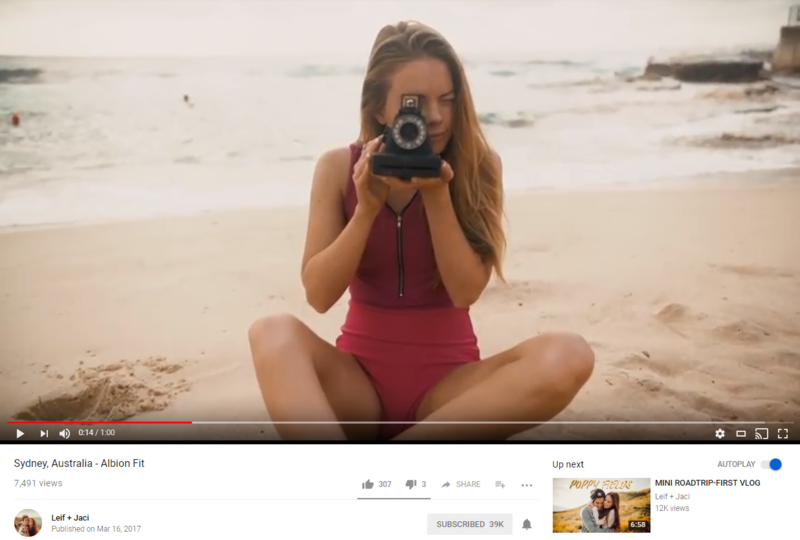 More than ever before, brands are relying on relatable YouTube influencers to create authentic and engaging content on their social channels in order to stay top-of-mind with consumers. With the value of print ads and traditional commercials decreasing, YouTube, in particular, has become a prime social platform for Millennial and Gen-Z influencers to share high quality and engaging content. User-generated content on YouTube gets 10 times as many views as videos created directly by brands. In other words, if you’re trying to increase brand awareness, YouTube is a prime medium to do so. In the consumer goods industry, beauty and fashion brands alike are leveraging influencer marketing to help drive sales amid the shift in consumer retail behavior. Consumers most often search YouTube for product reviews and rankings from beauty and fashion gurus, to guide them to the right products. As an example, watch this sponsored video for Sephora. YouTuber Kristin Johns tells a captivating story and effortlessly weaves Sephora’s latest lip products throughout the video in a subtle, yet effective way. It’s clear from the hundreds of positive comments left on her blog posts that her followers and fans appreciate this creative approach to sponsored content. Consumers also look to more traditional YouTube videos, like product reviews and rankings from beauty and fashion gurus, to guide them to the right product. Millennials and Gen-Z seek travel inspiration from social influencers and are even selecting destinations based on the social content they’ve seen. Content creators use YouTube to share their adventures through cinematic video blogs (vlogs). One look at this vlogger’s trip to Bali and you’re bound to get the travel bug! Pro tip: Combine branded content with a dreamy destination and watch the views roll in. With the rise in vlogging on YouTube, social influencers are sharing more about their lives than ever before—normal, everyday activities like a trip to Target or a coffee date with a friend are all recorded and captured in vlogs. Subscribers are anxious to know everything about their favorite YouTubers, including what they eat! Take this video by Lauren Elizabeth where she shares all of her favorite healthy snacks. Since consumers trust user-generated product reviews 12 times more than a brand’s promotional content, it’s a great time for the food industry to refine their digital marketing strategies. Along with the rise of beauty and fashion influencers on YouTube, another huge genre of content revolves around the fitness, health, and wellness industries. Consumers look to fitness influencers not only for workout tips, but also suggestions on workout clothes, health and dietary supplements, and much more. While we’ve seen a boom in YouTube content across these four industries specifically, any brand that is looking to target Millennials and Gen-Z would benefit from leveraging influencers. Not sure where to start or how to select the right influencer for your brand? Read our tips to find the perfect match.